Improving provision and outcomes for the children in your setting. There are so many ways practitioners can get children ready for writing and Alistair explores these in this step by step practical guide. 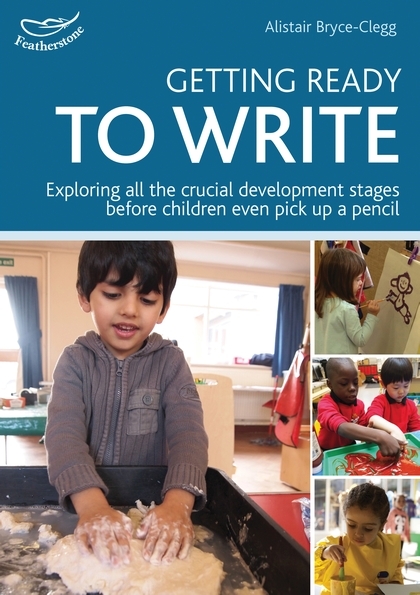 Starting with the theory this book takes practitioners through the developmental stages, looks at gender differences in mark making and then provides some innovative ideas for intervention such as Dough Gym and writing like a Jedi! Alistair is convinced that once practitioners understand the developmental stages of becoming a mark maker (from palm gripping to shoulder pivot) and are given the tried and tested activities to use, they will see a significant difference in progress.